Location, space and facilities is a bonus to look forward. No free parking. When we check in, the staff was very kind to us, also take quick action when we need something. And also, good in security. Super convenient! Love the unit! Clean and accessible to everywhere around KK time squares. It was a great stay, comfortable and spacious condo. Heard from their staff that there would be a reception counter close to November. The place is very accessible and clean. Very big good for 6 people. Facilities are very nice for homestay. Nana was very welcoming and her service was very good. Having two parking space was a bonus coz we didn't expect she will provide two parking for us since parking is limited for one only. The apartment got very ample space and very clean. But I didn't notice any exhaust fan, it maybe help to prevent any odour in a room. Really comfortable for a family with young children. Recommended! No problem with check in, just update your arrival time to the owner, the owner will wait for you at the lobby. The apartment very clean, new aircond, the bed so comfortable. 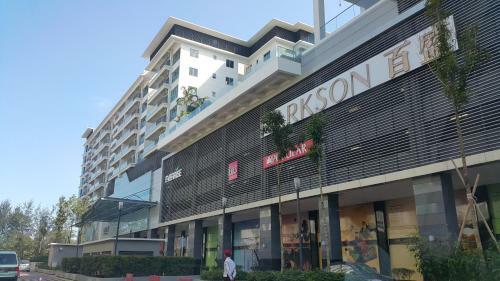 Walking distance to most of KK town's attractions. Room is very clean & presentable. Cosy sofa & bed (would be nice if they could provide two pillows instead of just one), free in-house wifi (P1), satellite TV (Astro with limited channels tho. Adding in Movie packages would certainly be an plus in our books). Overall an excellent experience & would definitely deal with them again on our next trip to KK. I had an excellent experience staying at Marina Court while working on my research. Vivien and Mike have been incredible hosts, upgrading my room when they found out I was staying for such a long time and introducing me to locals and visitors to Kota Kinabalu. They have constantly been available for any problems with the apartment and I can't say enough good things about them. The apartment itself is bright, extremely clean, and comfortable. It is in a great location near the waterfront, and the pool is an added perk. 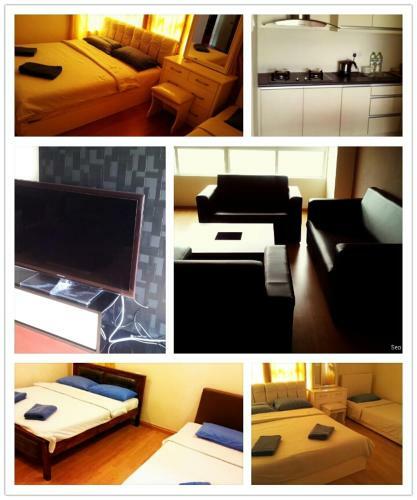 I am unfortunately leaving KK, but I hope to stay at this apartment again should I return. Thanks for a great stay! 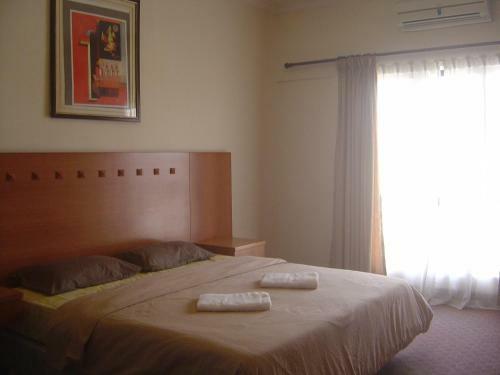 Suitable and highly recommended for big family to stay, all 3 rooms in the apartment are well maintained. Clean, nice design and friendly staff. We loved our stay here in Madben Mad Suite. We did not expect the room to be THAT big! It was really so spacious for only 3 people. It even had a space for us to prepare our food with a separate faucet, like a kitchen counter. Toilet was spacious as well. We could even roll around the floor. The location was perfect as it was exactly in Gaya Street. Behind it you can see the Atkinson Clock Tower. When you go outside, lots of food options are available. The place itself is a destination. The Sunday market in Gaya street is a great experience as well - when we went down in the morning, we just went shopping! Definitely will recommend this place again for families or groups with friends! The security was also good. :) Thumbs up! i have such an amusing and captivating breakaway in this wonderful resort! Our stay was great, staff were great. We travelled to KK by car and it was fantastic how staff waits for your arrival regardless what time to hand over the key. 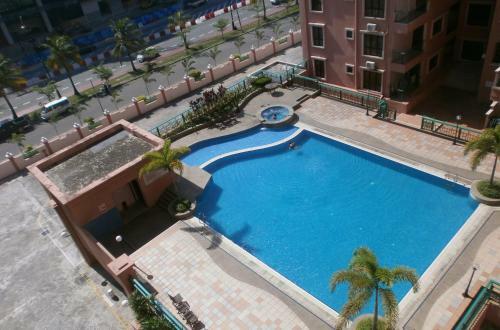 The place was in great condition eventhough it was very affordable price. I was very happy and fully intend to return and stay there again. the owner/company giving a excellent hospitality , an excellent reserve parking for travellers by lands,even at the time at our stay a water crisis happen , the host provide us with supply of mineral water , one of the best host i found so far, great furnish room.